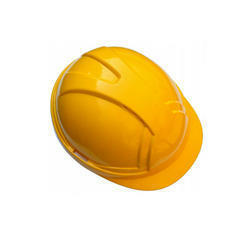 We offer safety helmets that have ventilation system to enhance air flow and reduced heat build up. Our helmets are available with webbing harness to absorb impact energy and are fixed with comfortable pin lock and reduced heat build up. - Triple Corrugation for enhanced strength. 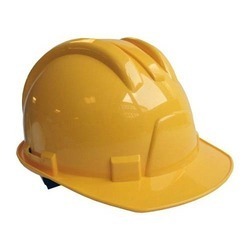 - Provided with Side Slots for fitting face and hearing protection accessories. · A Rigid shell deflects & prevents blows to the head. · A Suspension system inside the Helmet acts as a Shock Absorber. · A brow guard, to protect your scalp, neck, face & shoulders from splashes, spills & drips. · If fitted with ear muffs, gives you hearing protection.